compares the findings of this study with those contained in a previous PCA study,1undertaken in 1995, which analysed similar offences for the period from January 1992 to December 1994. Prior to the commencement of the Road Transport (General) Act 1999 (NSW), legislation relating to drink driving in NSW was found in the Traffic Act 1909 (NSW).TheTraffic Act was repealed by the Road Transport Legislation Amendment Act 1999 (NSW).Much of the Traffic Act was effectively reproduced in the Road Transport (General) Act1999 and the Road Transport (Safety and Traffic Management) Act 1999 (NSW). 4. high range PCA applies to drivers with a blood alcohol concentration of over 0.15 g/100 mL. The Act distinguishes between first offences and second or subsequent offences. Under the Act, offences are considered second or subsequent if the person was convicted of a major traffic offence (including any PCA offence) in the previous five years. Major offences include any offence under the Crimes Act 1900 (NSW), dangerous or negligent driving offences under the Act, PCA offences, driving under the influence of drugs, refusing to submit to testing for drugs or alcohol, or the aiding and abetting of the commission of any of the above crimes or offences. The maximum penalties applicable to each category of PCA offence are set out in Table 1. In addition to the penalties outlined above, s 24 of the Road Transport (General) Act 1999 empowers a court to disqualify from driving any person convicted of a major traffic offence under the Act. Section 25 provides that persons convicted of certain major offences (including any PCA offence) are automatically disqualified. A court may, however, order a longer or shorter disqualification period than the minimum disqualification periods specified in s 25. The disqualification periods for each category of PCA offence are set out in Table 1 above. Amendments to the Traffic Act enacted in 1998 (the Traffic Amendment (Penalties and Disqualifications) Act 1998) created a “habitual offenders scheme,which provides more severe penalties for drivers who repeatedly commit serious offences. These changes are incorporated into the Road Transport (General) Act, ss 27-32. Under the amendments, a driver convicted of three or more major offences (including PCA offences) within five years is to be declared an habitual traffic offender. Habitual offenders are automatically disqualified by declaration (without any specific court order) from driving for five years, unless otherwise ordered by the court. The court is empowered to order a longer or shorter period of disqualification, including disqualification for life, provided that reasons are given and that the offender is disqualified for a period of not less than three years. The offence of driving while disqualified also counts towards a declaration as an habitual offender. Any further disqualification made automatically or by a court during the period of disqualification as an habitual offender does not commence until all existing habitual offender disqualification periods have been completed: Road Transport (General) Act, s 30(8). This study is based on two years of Local Court data provided by the NSW Bureau of Crime Statistics and Research (BOCSAR). The data relates to PCA offences committed pursuant to the Road Transport (Safety and Traffic) Act 1999 (NSW), ss 9(2)(a), 9(3)(a), 9(4)(a) and finalised between 3 April 2000 and 2 April 2002.
offences of low, medium and high range PCA attempt to drive or occupy the seat next to the holder of a learner licence who is driving a vehicle (198 cases). Accordingly, 39,775 offences remained to be analysed. Each “offence” discussed here is defined as the finalised principal offence. This term refers to the offence that received the most severe penalty. If the offender happened to be sentenced for several offences simultaneously, only the offence receiving the most severe penalty was considered. In cases where the offender was sentenced for several offences including a PCA offence, but the PCA offence did not receive the most severe penalty, that offence was omitted from this study. The data does not distinguish between first offenders and second or subsequent offenders. All cases where consecutive sentences were imposed were excluded from consideration. 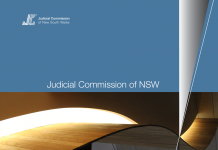 PCA offences accounted for 19.6% of the 202,610 cases sentenced in the NSW Local Courts in the study period, making them one of the most common offences finalised in the Local Courts. In the two-year period studied, mid range offences were the most common category of PCA offences (21,701 cases), followed by high range (9,331 cases) and then low range (8,743 cases) offences. Figure 1 shows that the distribution of PCA offences across the three categories remained largely stable during 2000-2002. The majority of convictions were for mid range PCA offences (approximately 54%) while the remaining convictions were relatively evenly divided between low and high range offences. This contrasts with the results of the 1995 study,6 which showed a much larger proportion of high range PCA offences (34% as opposed to 23.5% in the present study) and relatively fewer offences in the low range category (15% compared to 22% in the present study). In contrast to the earlier study, which showed a significant fall in the number of cases in all three PCA ranges over its three-year study period, the present study found that the frequency of convictions for the three offences remained relatively stable over the two-year period. Several characteristics were analysed in order to identify the profile of the average PCA offender. The gender, age, prior criminal record, plea and legal representation of offenders are discussed below. As in 1995, PCA remains a predominantly male offence with very little variation across the three categories: see Figure 2. Overall, males represent approximately 84% of offenders and females approximately 16%. The gender distribution has changed little since the 1995 study (86-89% males and 11-14% females), with the majority of female offenders continuing to be convicted of low range offences. the highest proportion of offenders were aged between 20 and 24, followed by those aged between 25 and 30: see Figure 3. Note: Age information was missing in 35 cases. 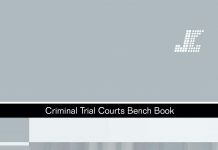 The data provided by BOCSAR only indicate the presence or absence of prior convictions and do not distinguish between type of prior convictions. Similarly, individuals who have been declared habitual offenders under the legislation are not identified in the data provided. It is therefore possible to discuss the implications of prior convictions only in general terms. Offenders with prior convictions represented 45.9% of all PCA sentences. Low range PCA offenders were less likely to have a prior record (37.7%) than offenders sentenced for high range PCA offences (55.8%): see Figure 4. Note: Prior record information was missing in 1,347 cases. The overwhelming majority of PCA offenders dealt with in the Local Courts between 2000 and 2002 pleaded guilty (92.6%), with little variation across the three offence categories. This represents a decrease in guilty pleas when compared with the results of the 1995 study, when 96% of offenders pleaded guilty. In comparative terms, this means that nearly twice as many offenders pleaded not guilty in 2000-2002 (7.4%) than in 1992-1994 (4%). 71.8% for high range PCA. Levels of legal representation remain relatively unchanged since the 1995 study. As would be expected, high range PCA offences attracted a higher percentage of the harsher penalties and, conversely, low range offences attracted a higher proportion of the less severe penalties. Figure 5 sets out the range of penalties imposed and illustrates that by far the most common penalty handed down for PCA offences in all categories was a fine. Mid range PCA offenders: the most commonly imposed penalty was a fine (65.2%), followed by a s 10(1)(b) bond (20.4%), a s 9 good behaviour bond (6.3%), a s 10(1)(a) dismissal (4.2%) and a CSO (2.3%). Custodial sentences were rare (the sum of suspended sentences, periodic detention, home detention and prison sentences), representing only 1.5% of mid range PCA sentences imposed. High range PCA offenders: again the majority received a fine (62.7%), followed by a s 9 good behaviour bond (15.6%), a s 10(1)(a) dismissal (9.5%), a s 10(1)(b) bond (9.5%) and a CSO (5.6%). The total percentage of custodial sentences imposed was 5.7% (2.2% prison sentences, 2.1% suspended sentences, 1.2% for periodic detention and 0.2% for home detention).The percentage of prison sentences in this category is higher than the total of all custodial sentences in the mid range PCA category. As indicated previously, the vast majority of offenders plead guilty to PCA offences. 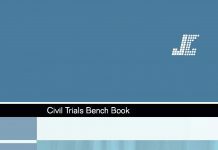 The feature that stands out for those who pleaded not guilty as opposed to those who plead guilty was that the former had a lower incidence of nominal penalties (10.9% compared to 26.0%). Persons who pleaded not guilty also had a greater likelihood of receiving a community service order (5.2% compared to 2.7%) or a suspended sentence (2.1% compared to 0.8%). 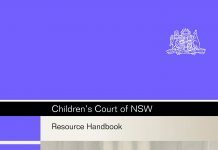 The sentence outcomes for PCA offences were analysed by comparing the sentencing patterns for Sydney metropolitan courts with the rest of NSW. The disparities observed may be explained by reference to the availability of alternative sentencing options and/or the means of offenders, but further research and analysis are required before any conclusions of this kind can be drawn with any degree of confidence. 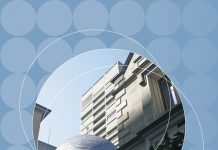 Overall, low range PCA offenders sentenced in courts located outside the Sydney metropolitan area were more likely to receive a s 10(1)(a) dismissal or a s 10(1)(b) non-conviction bond than those sentenced in the Sydney metropolitan area. 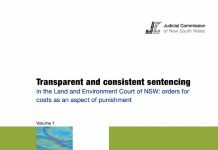 These two sentencing options combined represent almost half (45.9%) of all sentences imposed in courts in the rest of NSW compared to a little over a third (35.3%) of sentences imposed in Sydney metropolitan courts. Low range PCA offenders sentenced in the Sydney metropolitan area were more likely to receive a fine (63.7%) than those sentenced in the rest of NSW (52.3%). The sentencing pattern for mid range PCA offenders was similar to that for low range PCA offenders. Offenders sentenced outside the Sydney metropolitan area were more likely to receive a s 10(1)(a) dismissal or a s 10(1)(b) non-conviction bond than those sentenced in the Sydney metropolitan area. The combined total of dismissals and non-conviction bonds imposed outside the Sydney metropolitan area was almost twice that of those sentenced inside the Sydney metropolitan area (31.6% and 17% respectively). A much larger percentage of those who were sentenced in the Sydney metropolitan area (73.3%) received a fine compared to the rest of NSW (57.6%). The most common sentence for high range PCA offenders was a fine. However, a much larger proportion of offenders sentenced in the Sydney metropolitan area received a fine (71.8%) than offenders sentenced in the rest of NSW (55.6%). 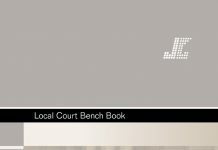 The non-metropolitan courts imposed more dismissals and non-conviction bonds (14.0%) than their Sydney metropolitan counterparts (5.6%). At the more severe end of the penalty spectrum the combined proportion of community service orders, suspended sentences, periodic detention, home detention and imprisonment imposed in non-metropolitan courts (12.9%) was greater than those imposed in Sydney metropolitan courts (9.1%). The maximum fines applicable for PCA offences are set out in Table 1. The distribution of all fines across PCA categories, rounded up to the nearest $100, is presented in Figure 6. $1,000 for high range PCA offences, with the majority of offenders (60%) fined between $550 and $1,500. Based on an annual analysis of the data, the median fine for high range PCA offences decreased by 10% in the second half of the study period. There was no difference in the median fine amounts imposed for low and mid range PCA offences in Sydney metropolitan courts compared to courts in the rest of NSW. However, for high range PCA offences, the median fine amount imposed in courts in the Sydney metropolitan area ($1,000) was greater than the median fine amount imposed in courts in the rest of NSW ($850). Overall, offenders with prior records were subject to higher fines in all three PCA categories. Figure 7 shows that median fines were higher for offenders with a prior conviction than for those with no prior record. The range of fines was also wider for offenders with prior convictions in all three PCA categories. High range PCA offenders received the widest range of fines ($500-$1,400 for those with no priors and $600-$1,500 for those with priors). 80% of the median male fine for high range PCA offences. This may be due to a combination of factors. One factor is that significantly fewer female offenders had prior convictions (29.6%) compared to males (49.0%). Females are also far less likely to be convicted of a PCA offence, suggesting that a greater element of general deterrence may be appropriate when sentencing male offenders. It may also be that women generally earn less than men and a woman’s diminished capacity to pay a fine is taken into account by the sentencing court. As might be expected, Figure 9 shows that offenders aged under 21 years received lower fines than older offenders, in each of the low, mid and high range PCA categories. Figure 9 also shows that median fines were similar for all low and mid range PCA offenders in the older age categories. High range PCA offenders, however, were likely to receiveslightly lower penalties on average if they were over 40 than if they were between 21 and 40. The lower fines received by offenders aged under 21 years may be due to a combination of factors including their lower capacity to pay. Further, a great majority (71.9%) of offenders aged under 21 had no prior convictions compared with the 21-30 age group (54.8%), the 31-40 age group (44.3%) and those aged over 40 (53.8%). The slightly lower median fine imposed on high range PCA offenders over 40 years of age may be explained by several factors, including the higher levels of legal representation (67.1% of this group had legal representation in comparison to 55.8% of those under 21; 56.1% of the 21-30 age group; and 62.9% of the 31-40 age group). Legal representation appears to have had an impact on the fine amount only in the high range PCA category: see Figure 10. Among high range PCA offenders, the median fine was $900 for those who had legal representation in court in comparison with $1,000 for unrepresented offenders. However, if the costs associated with obtaining legal representation are factored in, it is unlikely that those convicted and fined would have been financially better off than those without legal representation. Any benefit in legal representation must also be seen in the light of the impact of licence disqualification considered below. the majority of mid range PCA offenders (60%) had their licence revoked for a period ranging from six to 12 months. the majority of high range PCA offenders (60%) had their licence revoked for a period ranging from 12- 24 months. The PCA offence category and whether the offence is a second or subsequent offence are the two main determinants of the disqualification period. 15 months for high range PCA offenders. In each category, the median disqualification period imposed was equal to the minimum disqualification period specified in the legislation. Sixty percent of offenders over all categories received disqualifications ranging between the minimum and automatic disqualification periods specified by the legislation: see Table 1. As would be expected, and in accordance with the legislation, the median period of disqualification across each of the three PCA ranges was longer for offenders with prior records: see Figure 12. The period of licence disqualification was shorter for offenders over the age of 40 convicted of high range PCA offences (12 months) compared with other age groups (15 months). These results accord with those of the previous study. In the category of mid range PCA, for those who were under 21, the median disqualification period (seven months) was longer than the period for other age groups (six months). For low range PCA offenders, all age groups had equal periods of disqualification from driving. As Figure 14 illustrates, male and female disqualification periods were identical across the low and mid range PCA offence categories. Amongst high range PCA offenders, however, the median period of disqualification for females (12 months) was three months shorter than for males (15 months). This differs from the previous study, which found that females received shorter disqualification periods across all three PCA offence categories. High range PCA offenders who had legal representation in court had a median disqualification period of 12 months, which was much shorter than that imposed on offenders who had no legal representation (18 months). Among the mid range PCA sentences, the median period of disqualification for offenders with legal representation (seven months) was also shorter than for those without representation (six months). Of high range PCA offenders, 60% with legal representation were disqualified for between 12 and 24 months while 60% without representation were disqualified for between 12 and 30 months. high range PCA – $1,000 fine and 15 months of disqualification from driving. offenders with legal representation received lower fines and shorter licence disqualification terms. Low range PCA: The percentage of offenders who received a fine declined (from 78% to 58%) but the percentage who received a good behaviour bond increased (from 14% to 28%). Those who received a dismissal also increased (from 6% to 13%). Mid range PCA: The percentage of offenders who received a fine declined (from 79% to 65%) but the percentage receiving a good behaviour bond increased (from 12% to 20%). The percentage of those who received a dismissal also increased slightly (from 2% to 4%). High range PCA: The percentage of offenders who received a fine decreased (from 74% to 63%) but the percentage receiving either a good behaviour or other bond increased (from 11% to 16% and 5% to 10% respectively). 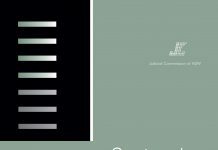 Custodial sentences: The percentage of custodial sentences imposed (representing home detention, periodic detention and imprisonment)increased slightly for both mid range PCA and high range PCA offences. In mid range PCA offences, custodial sentences constituted 1.5% of the total sentences in the period under analysis. This is an increase of 0.5% from the last study, when custodial sentences formed 1% of the total. Among high range PCA sentences, on the other hand, custodial sentences, were 5.7% of the total, which is an increase of 3% since the last study. In comparative terms, this represents a large increase. 1 See I MacKinnell, “Sentencing Drink-Driving Offenders” (1995) 10 Sentencing Trends, Judicial Commission of NSW. 2 An unlicensed person sitting next to a learner driver is deemed to hold a driver’s licence for the purposes of the section. 3 Alcohol concentration is measured in grams per 100 millilitres of blood. 4 Special category drivers are defined in s 8 of the Act as being: learner or provisional drivers; unlicensed drivers; drivers under 25 years who have held a licence for less than three years; drivers of public passenger vehicles; and drivers of coaches, heavy motor vehicles or vehicles carrying dangerous goods. 5 Currently, 1 penalty unit is $110:Crimes (Sentencing Procedure)Act 1999 (NSW), s 17. 7 Median refers to the midpoint of distribution with 50% of the cases below and 50% above. It is used to exclude extreme cases. 8 Community service orders (CSO) and custodial sanctions are not applicable penalties for low range offences. (c) if the person is a special category supervisor in respect of a motor vehicle and the holder of a driver licence-occupy the seat in a motor vehicle next to a holder of a learner licence who is driving the vehicle. Maximum penalty: 10 penalty units (in the case of a first offence) or 20 penalty units (in the case of a second or subsequent offence). (c) if the person is the holder of a driver licence-occupy the seat in a motor vehicle next to a holder of a learner licence who is driving the vehicle. Maximum penalty: 20 penalty units or imprisonment for 9 months or both (in the case of a first offence) or 30 penalty units or imprisonment for 12 months or both (in the case of a second or subsequent offence). Maximum penalty: 30 penalty units or imprisonment for 18 months or both (in the case of a first offence) or 50 penalty units or imprisonment for 2 years or both (in the case of a second or subsequent offence). Division 3 of Part 3 of the Road Transport (General) Act 1999 provides for the disqualification of persons from holding driver licences for certain offences (including offences under this section).